Armed police and anti-terrorism specialists stood guard at Wick John O’Groats Airport as the enriched uranium was loaded onto a US Air Force C-17 Globemaster transporter jet. But last night opponents slammed the decision to go ahead with the flight on Saturday, just a day after the London tube bomb attack. Highlands and Islands MSP (Green) John Finnie said: “Every avenue should have been considered, including the current threat level, and it would have been appropriate to set that flight aside. “My position is that they (these flights) should not be taking place anyway. Nuclear waste should really be securely looked after by highly trained staff on site. Radioactive material is being moved from Dounreay, near Thurso, to be stored or reprocessed elsewhere as part of the site’s decommissioning. It is the third such flight under a deal agreed between the UK and US governments to transfer nuclear material in exchange for a medical grade uranium from the US used to diagnose cancer. The plane firstly travelled to RAF Lossiemouth on Saturday – before heading for a nuclear facility in Tennessee – as the runway at Wick is 1,712ft too short for a fully fuelled Globemaster to get airborne. 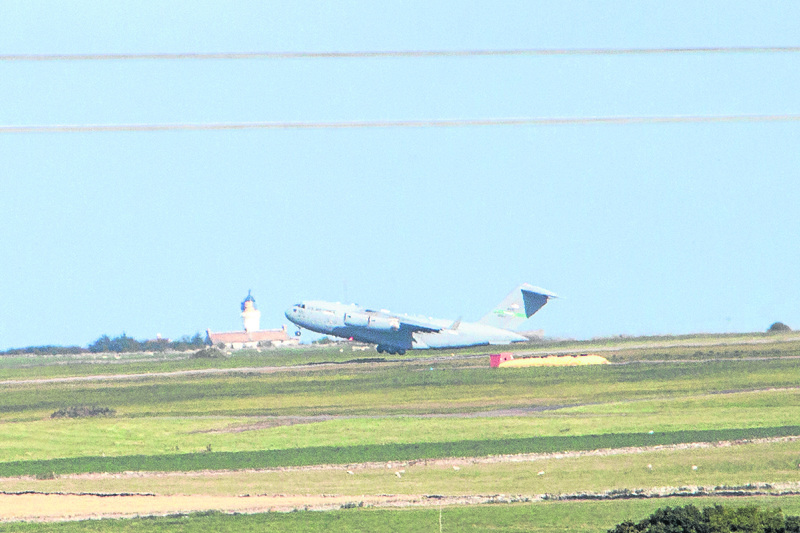 Wick’s runway was strengthened, but not lengthened in preparation for the flights in an £8million upgrade. Up to 10 more flights are expected in the future as the decommissioning at Dounreay continues. Mr Finnie added that terrorists would be seeking “prestigious targets” such as these flights and that the consequences of a disaster would be “unthinkable”. the safe and secure transportation of nuclear material, both in storage and transit.